Home » video » Watch Deaf Baby's Reaction When Hears Mom's Voice for First Time! Watch Deaf Baby's Reaction When Hears Mom's Voice for First Time! This video is of an 8 month old child born deaf who underwent a cochlear implant. 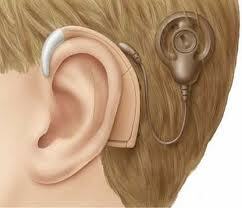 This special device allows hearing to be restored to children (and adults) who would otherwise be deaf. Watch the expression and reaction of the child when the implant is turned on and the child hears his mom's voice for the first time! The first video below contains actual surgery footage. The second video is animation only.